Eshbach Mulch Products is here for all your lawn and garden supplies. Our friendly, knowledgeable staff can recommend products to help your lawn and garden thrive. 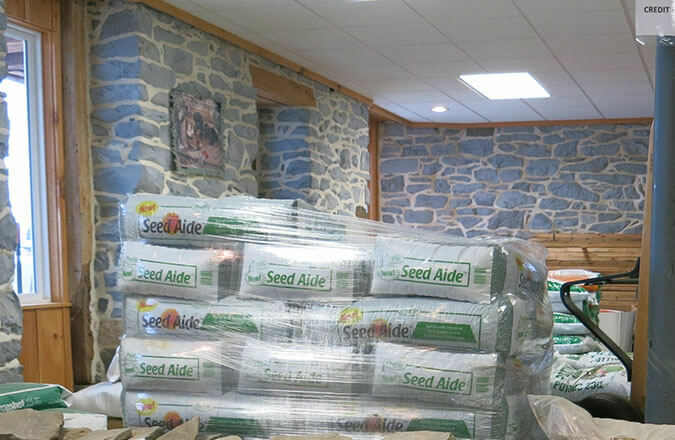 We carry everything from grass seed to garden tools from Seedway, Alliance, SRW and more. Want to make your garden really standout? We offer beautiful water fountains and pondless waterfalls by Aquascape. Enjoy the site and sound of running water without the maintenance! The most effective way to get the lush lawn or thriving garden you want is with the right garden and lawn supplies. 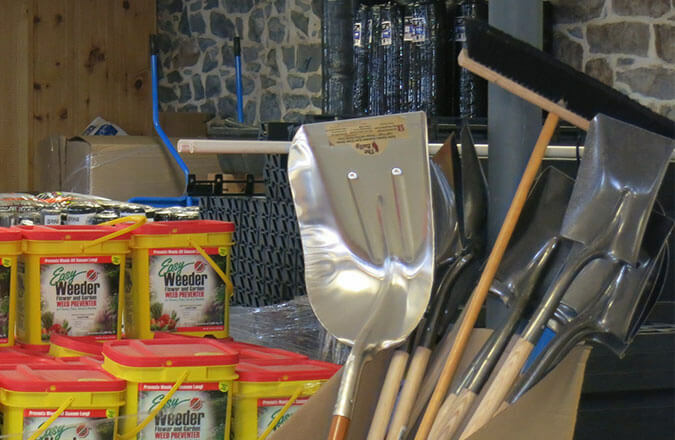 At Eshbach Mulch Products, we carry everything you may need for your landscape supply needs, including grass seed, straw blankets, and all types of gardening tools and supplies from trusted names like Seedway, Alliance, and SRW. Let our seasoned landscape supply experts help you bring your landscape and garden edging ideas to life. Whether you're looking for the durable and versatile garden edging tools or the perfect shovel for turning over soil, you'll find what you need from Eshbach Mulch Products. Our goal is to make it easy for both weekend gardeners and professional landscapers to maintain beautiful exterior spaces with finely crafted hand trowels, rakes, hoes, pruning shears, and other lawn and garden essentials. When it's time to breathe new life into your green spaces, we've literally got you covered. Achieving this goal sometimes involves controlling weeds and keeping pests at bay, other times it means using the right products and garden tools to encourage healthy growth throughout the normal growing season. We're your go-to source for all of the lawn supplies you may need to complete tasks that include reseeding your lawn, weed control solutions, laying down straw for erosion control, and more! Not sure how much mulch you need? Use our handy mulch calculator to order with confidence and certainty. Save time and money by getting all of your lawn and garden supplies from Eshbach Mulch Products. Because we're a trusted landscape supply retailer and wholesaler serving the Lancaster and York areas, we're able to offer appealing discounts if you happen to be a landscaping contractor. Even if you only need landscape tools or garden supplies for personal purposes, you're sure to appreciate our fair prices and top-quality products. We also offer year-round pick-up and delivery for your added convenience. Contact us today to learn more about our lawn and garden supplies, or to place an order and schedule delivery. Eshbach Mulch Products has been family-owned and operated since 1996. Contact our friendly staff at 717-252-4800 or learn more about our natural stone, retaining wall and pavers and mulch products.